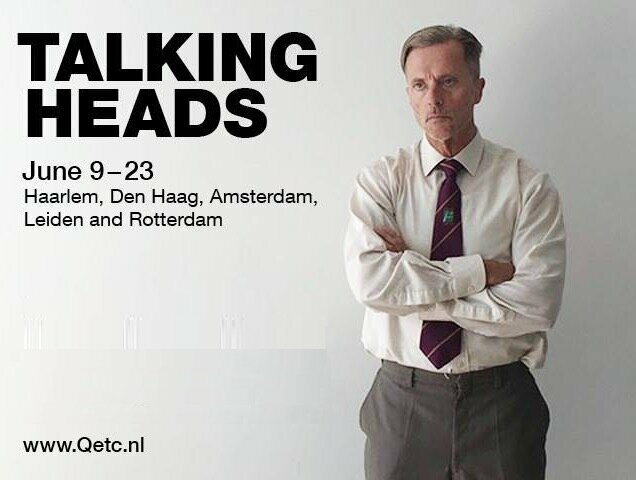 Queen’s English Theatre Company (QETC) has just finished touring the Netherlands with “Talking Heads” by Alan Bennett. 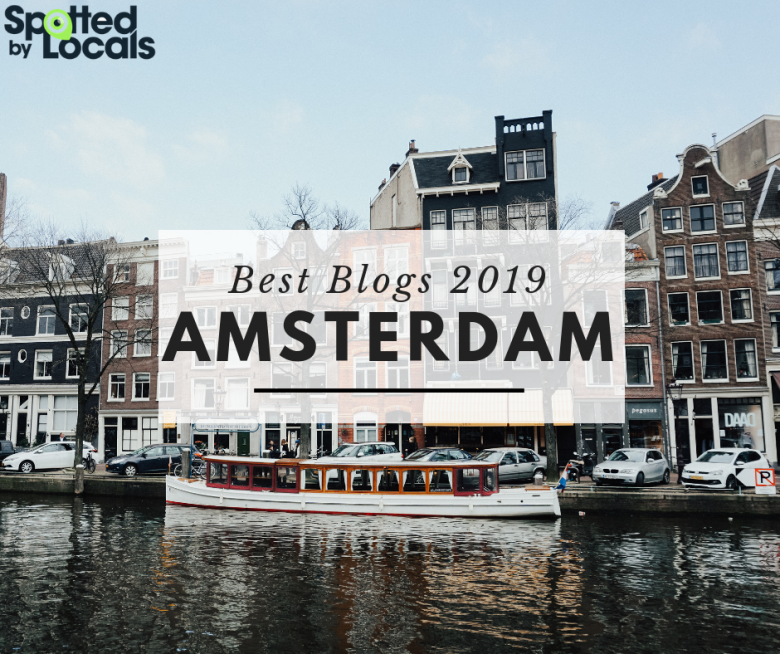 They performed in Leiden, Haarlem, Den Haag, Rotterdam and Amsterdam. Talking Heads is a series of dramatic monologues written for and broadcasted by the BBC, nominated for BAFTA awards no less than thirteen times. 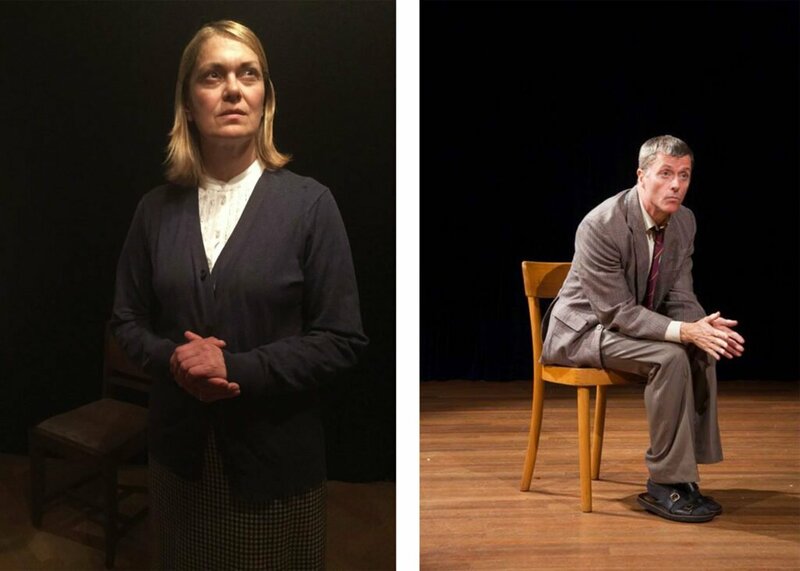 QETC brought two of these monologues to the Dutch scene: A Chip in the Sugar (starring Mark Winstanley) and Bed Among the Lentils (starring Loveday Smith). I went to see their show at TOON, a small venue in Amsterdam West. I would’ve loved to see them in Haarlem or Den Haag, but my schedule didn’t allow for it. While this series is popular among the British public, I didn’t know about it and had no idea what to expect. I was still trying to get used to my seat, in the slightly claustrophobic room where the play took place, when Mark Winstanley came on stage and started his monologue. It took me ten good minutes to get into the story — I always have this problem when watching a show in a more intimate setting. But Mark’s acting was so intense and captivating, that I soon forgot about the people around me, even about that lady who was vigorously waving her fan, and I was transported to the room of Graham, the middle-aged man living with his mom. He introduced us to the other characters — Vera, his mom, and her old love, Mr. Turnbull — by mimicking their way of talking and their mannerisms. Graham, who sees his routine life threatened by the sudden apparition of his mom’s old sweetheart, suffers as he tries to gain her back. His salvation comes through the arrival of an unexpected guest, helping him to get his much needed routine back. It’s a dramatic, sad and touching piece, as we get to hear this man’s thoughts and we take part in his struggles. He is fragile, dependent on his mother and his medication. Mark does an excellent job at bringing to life the character. For the second part of the show, the stage was taken by Loveday Smith, who portrayed a vicar’s wife. Loveday transported us into the unhappy life of a woman who is trapped in her wrong choices. 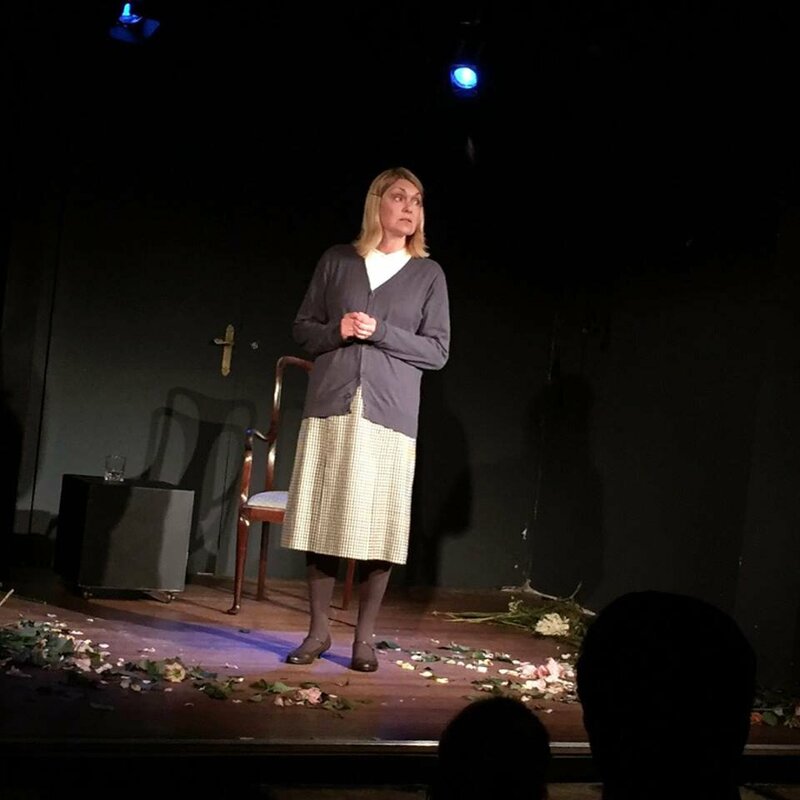 She’s an atheist (which conflicts with her role as a vicar’s wife), she is bored with her husband and their life together and she becomes an alcoholic, looking for consolation in alcohol and another man’s arms. She knows she is never going to change and she surrenders to her boring life, but she spices things up with a bit of communion wine and visits to the local Indian shop, where her affair with the shop’s owner takes place. Although these pieces are described as monologues, they are more than that. What the actors do on the stage, impersonating other characters, changing accents and tones, is more like storytelling. Both of them made me feel that was watching a play with multiple characters, not a monologue at all. It’s not easy to do a one-man show and captivate your audience for fifty minutes, but they succeeded. The portrayals of these two ordinary people’s lives are not made without humour, but the lasting feeling at the end of the show was one of sadness and compassion. Nevertheless, I enjoyed the play very much and can’t wait to see the next one. You can check out their website for information about the next show.